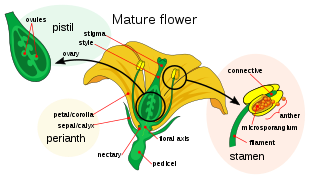 After flowering, most plants have no more use for the calyx which withers or becomes vestigial. 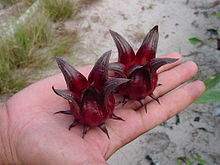 Some plants retain a thorny calyx, either dried or live, as protection for the fruit or seeds. Examples include species of Acaena, some of the Solanaceae (for example the Tomatillo, Physalis philadelphica), and the water caltrop, Trapa natans. 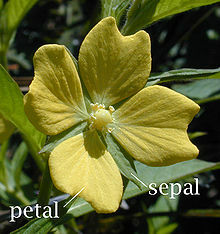 In some species the calyx not only persists after flowering, but instead of withering, begins to grow until it forms a bladder-like enclosure around the fruit. This is an effective protection against some kinds of birds and insects, for example in Hibiscus trionum and the Cape gooseberry. This page was last edited on 1 February 2019, at 11:25 (UTC).